Hi everyone... 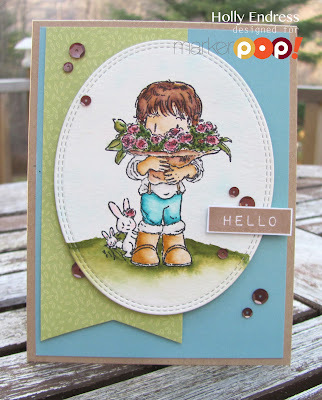 I'm over on the markerPop blog today with a cute card using the Dreamerland Crafts adorable stamp A Big Bouquet of Surprises. This is a new to my company as well as a new product for markerPop and I have to say all the images are super cute! Head over to see how I created this card and there's a video too!